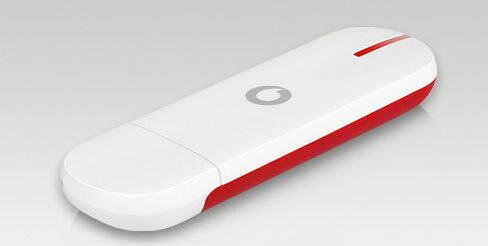 As the top network provider, Vodafone had released a serial of USB surf stick for its customer and to meet various demands from customers located in different areas. Sometimes, one Vodafone USB surf stick may has two or more variants. 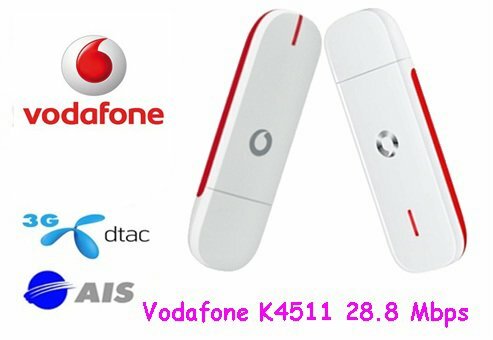 Today，we will have a simple review of Vodafone K4510 and K4511 Internet stick. Following Vodafone K3765 and K3565, K4510 and K4511 has upgraded the speed for high speed demand. That should be the key feature different from their Predecessor model. The appearance design of K4510 and K4511 is still the classic compact USB, slim and easy to take in hand or bag. To help the USB modem gain better signal so that users could surf in high speed of data transmission, the two modems has external antenna connector. So if users are in rural area or some place of low network coverage, add an external antenna, better signal could be gained. The difference of Vodafone K4510 and K4511 is just the 3G UMTS bands. They both support GSM/GPRS 850/900/1800/1900 MHz. Someone may ask, what the K4510Z and why it’s K4511H, actually, they come from difference producer, Z means ZTE, the Chinese telecom equipments supplier, while the H means HUAWEI, and it’s also the top supplier of telecommunication products. They both supply reliable products, so Vodafone let them produce the two variants. So before you buy this modem, please make sure they are suitable for you 3G network bands. That will determine whether you can enjoy the fastest speed available. 4gltemall.com provide unlocked Vodafone K4510Z and K4511H to help you enjoy surfing freely.